I just finished reading The Name of the Star by Maureen Johnson. It’s a YA mystery where someone in London is recreating Jack the Ripper’s murders. Rory, an exchange student from Louisiana, is caught up in the middle. I read it in about 24 hours and really liked it. The writing was sharp, fresh, and consistently made me laugh out loud while still feeling like I really needed to find out what was going to happen next. I highly recommend it! It’s also really wonderful because the author totally burns Stephenie Meyer in a completely satisfying way. If you don’t know what the italicized lion and lamb stuff in the above quote is – and I envy you, you happy few – it’s from Twilight. I think the movie at least, and maybe the book. I only read the first one and have blocked out most of my memory of it for self protection. 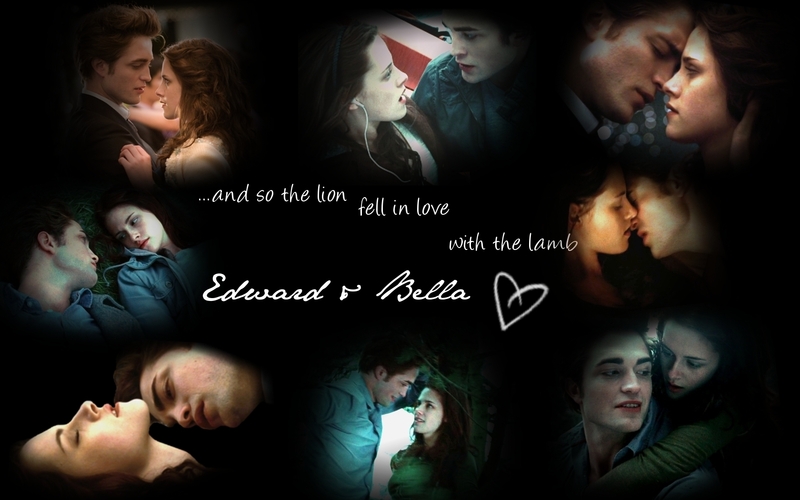 But the gist is that Edward is the lion and Bella is the stupid little lamb and they fall in love. Blech. It spawns things like the image below. It also has inspired some tattoos that I assume the owners will eventually regret, if they do not already. For all of these reasons, I recommend picking up The Name of the Star. The second book in the trilogy is out now, and I’m waiting for it. I’m also listening to Bring Up the Bodies, the sequel to Wolf Hall. Happy reading! My amazing and lovely mother is coming to visit me, so if I don’t post on Sunday, we are out having fun! I love it when authors allude to other works like that — it’s a bit like a literary inside joke. 🙂 I’ll have to check out The Name of the Star! I know! It’s like you get to participate in a cool inside joke! The Name of the Star was really truly exciting reading. Way better than Twilight. I couldn’t get past 100 pages of Meyer’s writing. Twilight was overwritten and could have been edited down dramatically. Johnson, however, never stopped with the action! I slogged through Twilight for a class . . . and then got to write about how much I hated it, so that made it worth it.